Finally another recipe! Today a good friend of mine got given some beautiful fresh Hapuka from the Coromandel. We have had a lot of fish recently (I love summer foods!) so I tried to think of an interesting and different way of preparing our fish for tonight's feast! I scoured through a few of my favourite recipe books and came across a few traditional recipes for Fish Taco's from Mexico. Mexican is an all time favourite of mine so I decided to roll with this concept and see what happened! 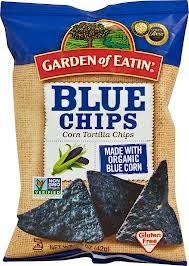 I was craving nachos, so decided to use these amazing Organic Blue Tortilla chips from Garden of Eatin instead of Tacos. This recipe was so simple and easy, the fish is the only part that needs cooking, and I think together my friend and I whipped it up in only 15 minutes! I hope you enjoy it as much as we did. 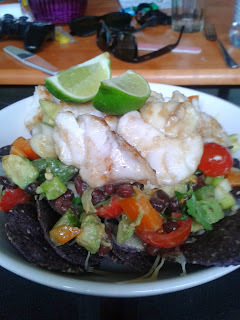 The combination of several of my favourite foods (nachos, fresh fish, avocado aaand black beans!) was insanely rewarding on my taste buds. Coat the fish in the flour. Heat 2Tablespoons Oil (preferably Coconut or Grapeseed) and wait until sizzling before adding the fish. Stirfry until just cooked and crispy on the outside. Set aside for now. Top your corn chips with Fresh Salsa and Fried Fish, and finish with a big dollop of Guacomole! Have been soo excited to try out this recipe and finally woke up on Saturday morning with a deathly hangover but big ambitious dreams of making it to the gym... an almost impossible feat. Luckily this recipe suddenly jumped to mind and it was all I needed for that extra boost of 'get out of bed and do something decent with your life today despite your throbbing headache". This is seriously the most simple, tastiest, sweetest treat I have come across yet. I would do this for breakfast, lunch, dinner and dessert. Try it. Now. Let me know what you think. Pour into pan and flip once bubbles start rising on surface. 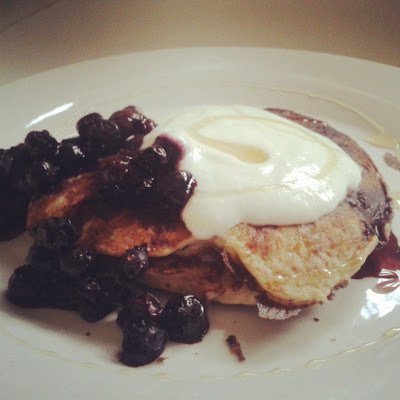 Serve with your favourite toppings... Blueberries, Yoghurt and a swirl of Pure Maple Syrup is mine! After a few months of eating terribly and being stuck in a bit of a recipe rut, I am finally back on track with a whole host of new meal ideas and super excited to try them all out! I am embarking on a 12 week challenge to get super fit and super healthy - hence this incredible Superwoman salad! Packed with a gizillion nutrients and minerals this salad is a perfect fit fanatic meal. Cannelini beans are low in fat, high in Fibre, low GI and contain twice as much Iron as Beef! A massive source of energy and detoxifying enzymes, as well as assisting the body to lose fat. Do you need any more reasons to introduce these super beans into your diet asap?! Tuna also promotes detoxification and are a well known mood enhancer, as well as providing your body with essential Omega-3 fatty acids. Avocado's are full of Vitamin E and help your body to absorb all the other wonderful nutrients from this meal. This meal took me about 5 minutes to prepare and I have plenty left over for lunch tomorrow! Enjoy! Squeeze the juice of half lemon and mix with 1 Tablespoon Extra Virgin Olive Oil and a dash of Balsamic Vinegar. I also added 1 Teaspoon of Sundried Tomato Pesto, but the dressing is still great without it! Pour dressing over salad and add a sprinkle of mixed seeds. Eat on a regular basis and watch yourself transform into Superwoman! I've been meaning to try out this dish for some time now! A flatmate of mine made something similar and since then I have been formulating a recipe in my head and so this is a combination of her recipe and one of my Mum's yummy Canneloni recipes. Its a cheap and easy dish that makes a good 4-6 servings and looks great served as well! I have been loving spinach lately and have just planted some in the garden so hopefully they'll come along nicely and we can have fresh spinach to try out a whole host of delicious recipes! The ingredients for this Lasagna can be added to if you want to try a bit more flavour although I found that the ingredients I used complemented each other well. I would love to try it with Eggplant and Courgettes once they're in season! I used Cottage Cheese in my lasagne but if you are a no-go on dairy then you could mix the Hummus in instead. Seperately, slice 1/2 pumpkin into 0.5cm slices. I always put my whole pumpkin into the Microwave first for around 10 minutes - it makes it so much easier to chop! Layer 1/3 of the Spinach mix into a deep lasagna dish, top with sliced Pumpkin until completely covered. Spoon a dollop of Hummus on top of Pumpkin and spread to cover. Repeat this step so that you have 3 layers. The Hummus layer should be sitting on the top. 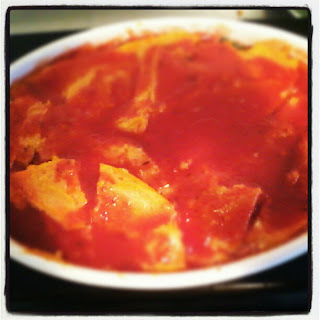 Add around 1/2 Cup Water to your almost empty can of Tomatoes then pour over your Lasagna. Bake at 180c for 40minutes. Let cool before dishing up. There is one food item that features heavily on my weekly shopping list.. It is by far the most versatile food I have ever met. And yes I have met Potato & Egg. Chickpeas are Number 1 on my list. I usually buy 4-6 cans in my big groceries and often have to go back for more! My favourite way to have them is baked as an everyday healthy snack. 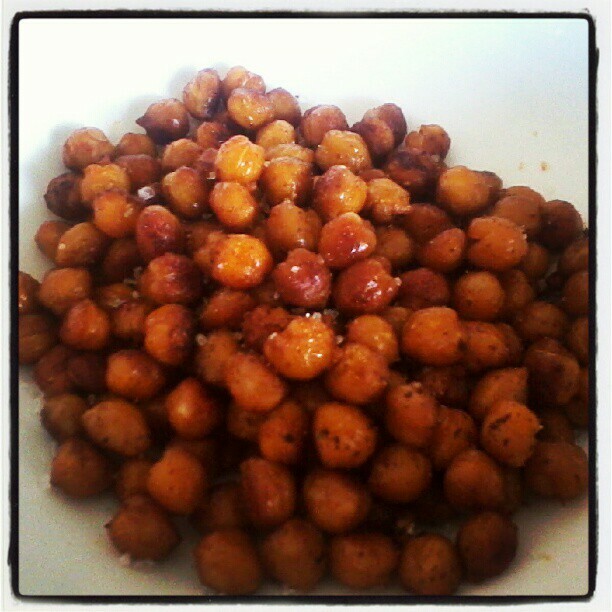 Chickpeas are naturally low in fat, high in dietary fiber and rich in vitamins and minerals so make the most of them! Here are a few of my favourite ways to have them..
1. Baked in the oven for 15minutes with a dash of Olive Oil, Tamari and Paprika. My absolute favourite snack! 2. Throw a can in the blender with a handful of olives, sundried tomatoes, sprinke of mixed herbs,, 1/2 cup of any flour and 1 tsp Baking Powder. Knead into a loaf and bake for 15minutes. Amazing Gluten Free Focaccia Bread! 3. Throw them in a bowl with some freshly chopped Mint, Coriander, Parsley and Lemon Juice. Eat just like this or add some Feta and Baby Spinach for a complete salad. 4. In a pot cook a teaspoon each of Garlic, Ginger and Chilli. Add 1 can Chickpeas and 2 cups stock. Cook until water is evaporated and stir through fresh Coriander. 5. Stirfry a can of chickpeas with a can of crushed tomatoes, 1 Tablespoon cumin, and 1/2 can coconut milk. Add any vegetables you prefer and serve on brown rice. 6. Blend with 1 Tablespoon each of Tahini and Lemon Juice, Clove of Garlic and dash of Cumin. Easy Hummus! 7. Stirfry 1 chopped Leek in a large saucepan. Add 4 cups of Vegetable stock, 1 Tbsp Soy Sauce and Lemon Juice. Pour in a can of chicpeas and 1 grated Carrot. One of my favourite soups! 8. 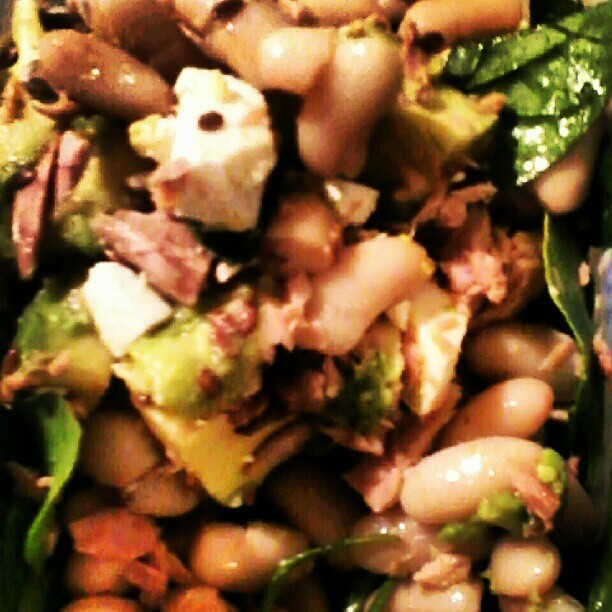 Have them for lunch mixed with a can of Tuna and Baby Spinach leaves. 9. Add a can of Chickpeas to your Roasts - Yum! 10. Bake on a low heat, around 150 celsius for 30 - 45 minutes. The chickpeas will go hard and crispy and you can store them for longer than soft chickpeas. Try adding any flavouring you can think of! Salt & Vinegar? BBQ? Experiment and find your favourite! This has got to be one of my favourite cant-live-without foods at the moment. 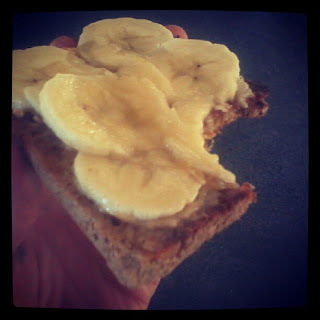 I have mine every morning spread on my favourite Venerdi Ancient Grain Toast with sliced Banana on top or mixed in with my Oats & Apple. It makes breakfast just a little bit more exciting and adds a powerful health kick to your meal. Loaded with Vitamin E and Manganese, Almonds are a great antioxidant and help prevent heart disease, cancer and skin problems. Almonds are also fantastic for satisfying hunger and prevent over- eating. They also contain more nutrients than any other nut. Its no wonder they are so popular! They happen to be the only ingredient in this simple but time consuming recipe/. But trust me, a little bit of patience brings great rewards! 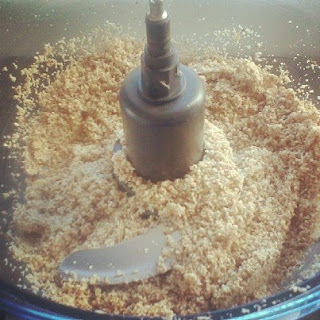 Place 200grams of Almonds in a Food Processor for about 20 minutes. But stay strong! Keep this going for about 10minutes and suddenly the pieces will start clumping together. This is because the natural ioils from the Almonds have been released. After clumping around for a bit in the processor the lumps will start breaking up again and will start becoming runny. Depending on how nutty/smooth you want your nut butter, this is when you can start taking yours out. I leave mine in for another 3 minutes or so until a silky liquid starts forming on top. A few weeks ago we had a shared lunch for one of our class break-ups so I had to think of something amazingly healthy but tasty enough, and not to 'out there' so that everyone would try it. 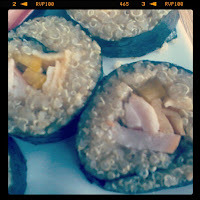 I'd heard someone mention Quinoa Sushi on a blog so decided to give it a go and they turned out fantastic! 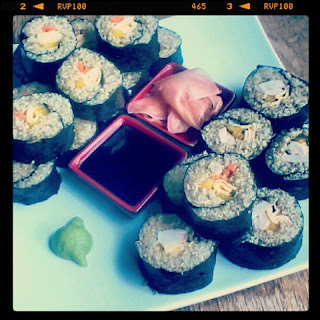 I actually found the rolls much easier to make than with normal rice and the sushi had a lovely nutty flavour to it. 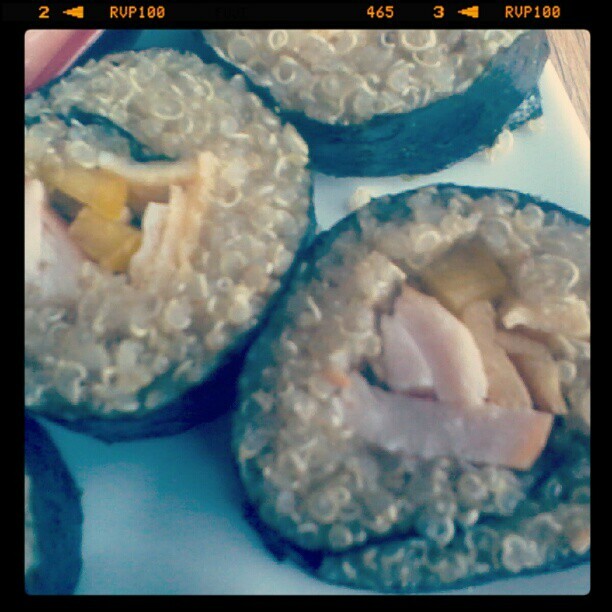 They are also a lot lighter than rice sushi so you might find yourself eating hoards of them! Cook Quinoa in a pot with 1:2 ratio of water. Add 1 Tablespoon White Vinegar or powdered Sushi Mix per cup Quinoa once cooked and allow to cool. Chop up ingredients to put in sushi - my favourites are smoked salmon or smoked chicken & avocado, or egg, pineapple and carrot or tofu, cucumber and capsicum! Lay out Nori sheet on sushi mat. Spread Quinoa mix evenly over Nori leaving a 2 centimetre gap at one end. Lay ingredients in a thin line down the centre and use the mat to roll Nori over ingredients, tightly packing them in as you go. Roll towards the 2 centimetre gap and use a pastry brush to sweep a little water on the edge. Stick roll together and place in fridge to cool. Once chilled, slice Sushi with a hot knife and place on a platter with Tamari, Wasabi and Ginger. Enjoy!